“Uptime guarantees” are featured in many web host’s marketing pitches. Not every “guarantee” is equal though. How to assess your uptime needs? How to navigate the pitfalls of hidden contractual terms? How much uptime do you actually need? 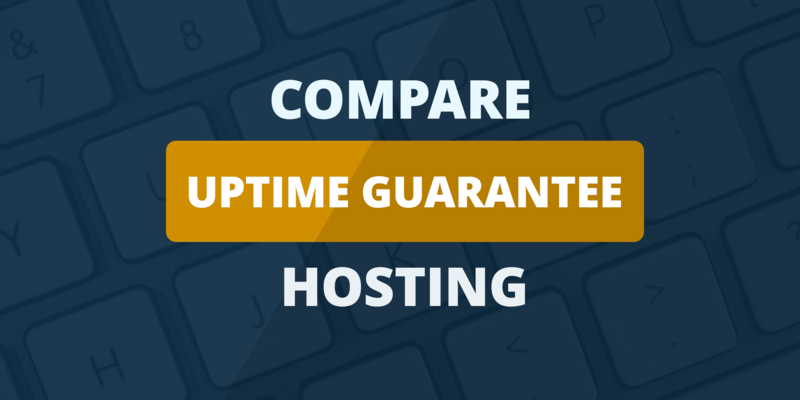 How should uptime guarantees affect your choice of a web host? I’ll also recommend some web hosts, based on my experience a technology reviewer, to help give you a headstart on your hosting search. You need your web host to keep your website available to visitors 24/7. That’s why it’s imperative to select a host with the best ability to keep your website up and running with minimal downtime. Most hosts offer some kind of uptime guarantee to their clients, but those promises may not be a reassuring they appear to be. Web hosting is a competitive market, and hosts offer a lot of perks and promises in order to stand out from the pack, from unlimited bandwidth to free domains. Many of these bonuses are helpful, but few of them are actually necessary. But there is one common promise that could make or break your website: the uptime guarantee. An uptime guarantee is a pledge that your website will be up and accessible online for a certain percentage of the time. If not, you’re entitled to a refund. Many web hosts guarantee 99%, 99.99%, 99.999%, or even 100% uptime. If you rely on your website for your business, whether through selling products or services or making money through affiliate sales or ad revenue, an uptime guarantee is one feature that could have a direct impact on your bottom line. A website that can’t be accessed is a website that’s costing you money for every minute it’s down. A reliable host with high uptime is an essential part of building your online presence and a trusted brand. What Types of Downtime Do IT Experts Fear? In a survey of IT professionals done by Quorum, they identified their biggest fears and here are the results. Who's Best for Uptime Guarantee Hosting? We think SiteGround is the best choice for Uptime Guarantee. Most hosts offer some degree of guaranteed uptime as part of their hosting package as a lure to potential customers. Whether or not you should trust that guarantee, and use it to choose your web host, is up for debate. When Twitter or Facebook goes down, it impacts millions of users. Although your site may not be at that scale (yet! ), there are always lessons to be learned from downtime cases that appear in the press. The most common level of guaranteed uptime mentioned in promotional materials is, by far, 99%. This might sound like a nearly-bulletproof level of uptime for your website, but once you crunch the numbers the picture isn’t quite as rosy. Seven days per week breaks down to 10,080 minutes. Even at just 1% downtime, you’re looking at 108 minutes of potentially dead website time—nearly two hours per week. And keep in mind that some companies determine their uptime guarantees based on yearly totals, not by week or month. That means you’d have to have more than 3 days of downtime in a year before you can make a claim. As you can see, even though 99% to 99.9% host uptime might seem like a near-perfect grade, there is still a significant portion of downtime baked into that promise. Plus, that percentage doesn’t include things like scheduled maintenance, which occurs when your host has to upgrade the servers or run a myriad of maintenance tests. Your service level agreement (SLA) will specify exactly what the reported server uptime guarantee actually specifies. In some cases, a host’s advertising will mention a 99.9% uptime guarantee, but in the fine print won’t actually specify what this guarantee entails. Infrastructure attacks, including denial of service (DDoS) or hacking. Other hosts will offer account credit for a certain amount of uptime, but typically the monetary value is so limited it’s barely even worth the hassle of getting in touch with customer support. What Types of Downtime Don’t Count? As a rule, downtime due to user error, such as bad code from an outsourced developer, doesn’t count. And usually, your host won’t owe you anything for scheduled downtime due to maintenance. “As much as 50% of server downtime is caused by badly deployed patches.” Paul Burns, Technology Services Group, in an interview with TechRadar. When it comes to uptime guarantees, it always pays to read the fine print. Look closely at your contract terms, and you’ll notice language that’s usually associated more with insurance salesmen than your website hosts. For example, standard clauses such as “force majeure” will limit your host’s liability for anything that happens outside their control, like those earthquakes and floods. Pingdom is a popular tool for monitoring uptime. Does Type of Hosting Matter? Naturally, some types of hosting will have less downtime than others. More often, this is due to the hardware setup and overall demand on the servers than anything else. For example, if you’re on a dedicated server or VPS plan there’s going to be much less of a resource strain put on the servers. You’ll still subject to downtime that occurs during scheduled maintenance, but the chances of your site going offline due to a user error are going to be a lot less likely. Another hosting option that’ll decrease the likelihood of downtime is cloud hosting. Cloud hosting is similar to VPS hosting in that you’re borrowing the server resources of multiple physical servers. But, since you’re not dependent on any one physical server the risk of downtime can be mitigated across the network. Finally, if you’re planning on being a reseller host, getting real-life experience with your host’s average uptime is important. You’ll want to be sure that you’re offering hosting that has a high uptime, otherwise be prepared to handle plenty of angry customer requests wondering why their sites have spent so much time offline. Should You Choose a Host Based On Their Uptime Guarantee? Any webmaster would love to find a host with actual guaranteed 100% uptime, but the truth is that there’s no way to make such a promise. Even the most ambitious guarantee is a flimsy shield against the effects of Murphy’s Law. But that’s small comfort when you’re facing the consequences of downtime for your own site. While an uptime guarantee will reimburse you for your hosting costs when your host fails to keep your website live, it still can’t compensate for the lost opportunities and income that result from that downtime. Instead of relying on network uptime claims, your best bet is to uncover uptime data yourself through host reviews and customer claims. This isn’t the most fail-safe option, but it might paint a more accurate picture you can use in your hosting search. PROTIP: Monitor your site’s uptime regularly with a tool like Pingdom or UptimeRobot. That’s why choosing a host based solely on their uptime guarantee isn’t a great idea. Instead, look for a host with a solid reputation for customer service, support for the features your website needs, including offering a generous uptime guarantee. That’s the best way to ensure you won’t be left up in the air when your site goes down. It can be a pain trying to find out which hosts have the best uptime guarantees because the fine print is sometimes difficult to find on their websites. So, I’ve shortlisted these three hosts which can help you narrow down your options quickly. InMotion offers 99.99% uptime and is known for its cutting-edge server hardware and super reliable support team. This uptime guarantee extends even farther to 99.999% with the dedicated hosting package and its smart routing technology. In terms of the value you get for your money, InMotion hosting is one of the best. Plus, if you’re transferring your site to InMotion its team will transfer your site to one of its own servers during the switch, to avoid any unnecessary downtime. If you’re in the market for a budget-friendly host that boasts solid uptime across the board, then consider HostGator. HostGator’s uptime guarantee is 99.99%, plus it’s backed up in the terms of service. So, if your server falls below 99.9% uptime you can receive a one month credit on your account. Plus, HostGator is great in that it can easily scale with you as your site grows, easily moving you from a shared plan up to a dedicated hosting package. If you’re looking for a host that boasts the holy grail of 100% uptime at an affordable price, then DreamHost might be right for you. Dreamhost’s servers are fully optimized to ensure the highest uptime possible, with built-in cooling features, energy backup generators, and 24/7 server monitoring. If your site does go offline due to a failure in Dreamhost’s servers, then you’ll be compensated for one free day of hosting for every hour your site is offline. Why Does Hosting Downtime Happen At All? In a perfect world, your website would be live 100% of the time. Unfortunately, although there are plenty of good web hosts out there, none of them are perfect. When webmasters think of what causes downtime, the worst often comes to mind. But hackers armed with DDoS attacks aren’t the only thing to watch out for. What Are the Main Causes of Downtime? Planned downtime: for maintenance, upgrades, etc. With all these risks and possibilities, the question isn’t if your website will experience downtime, but when. Luckily, most hosts have a backup generator or two in place to prevent excessive downtime when disaster strikes. It’s up to you to keep track of your website’s uptime, but it’s difficult to prepare for every event that could bring a server offline. In the competitive web hosting industry, many web hosting companies offers extra perks, features and guarantees to entice new customers to sign up. A standard guarantee that many web hosts offer is the uptime guarantee, which promises that your website will be live a certain percentage of time (usually between 99% and 99.99%). If it’s not, you may be eligible to receive a refund for the time your website was down. Does an uptime guarantee mean my website will never be down? No. It’s a common misconception that an uptime guarantee is a promise your website will be live whatever percent of the time is promised. In actuality, it’s a promise to give you a refund if your website is down for more than the stated amount of time. Just because a web hosting company offers an uptime guarantee doesn’t mean your website will never experience downtime beyond that. What could cause website downtime? In a perfect world, websites would always be live and available no matter what. Unfortunately, there are many possible circumstances that could result in downtime for your website. There are a wide range of possible causes for website downtime, including malicious hacking or DDoS attacks, software errors or hardware defects, operator error on the part of the host or website owner, planned downtime for updates or maintenance, or even natural disasters that damage your server such as earthquakes, fires, or floods. It’s now standard practice for most web hosting companies to offer uptime guarantees ranging from 99% to 99.99% uptime. Very few hosts offer a 100% uptime guarantee, and some offer no official guarantee at all. What kind of uptime guarantee is standard? Most web hosting companies that offer uptime guarantees will detail the guarantee in their terms of service (TOS) or service level agreement (SLA) documents. It will usually specify exactly what they mean by downtime, and may exclude downtime caused by chance occurrences or unavoidable accidents, such as a flood, earthquake, or terrorist attack (yes, some hosting companies mention this in their terms). The details will also specify how they measure uptime, how your refund will be calculated for any downtime beyond the guarantee, and how and when you should request your refund. Should I trust my web host’s uptime guarantee? You may want to research the history of your web host’s uptime and downtime before purchasing a plan to make sure their hosting service is reliable. Also be sure to check the details of their terms of service and service level agreement so you know exactly how the uptime guarantee works and how to request a refund if your website is down. 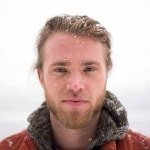 How do I track my website uptime and downtime? There are many tools available online for tracking and monitoring your website’s uptime. It’s important to track your downtime so you know if and when to request a refund for your hosting costs. However, many uptime guarantees stipulate that uptime monitoring for the purpose of the uptime guarantee will be performed internally by the web hosting company only, so you may not receive a refund if their tracking tools contradict yours. What are common exclusions and conditions for uptime guarantees? Uptime guarantees will often exclude any downtime caused by user error, planned server maintenance by the hosting company, or unavoidable and coincidental causes beyond the web hosting company’s control. Many uptime guarantees stipulate that the web hosting company is responsible for tracking uptime and downtime internally for the purpose of the guarantee, so your downtime tracking may not be sufficient to claim a refund. Finally, uptime guarantees usually include the exact process and a time limit for claiming your refund for downtime. Some require you to request a refund within 30 days of the downtime. If you wait longer than 30 days, you’re no longer eligible for a refund. How do I get a refund for downtime? Your web hosting company will most likely detail exactly how you should request a refund within their terms of service or service level agreement. Usually, you must contact their customer support via email or support ticket within a certain amount of time. Be sure to check for details before requesting your refund, and preferably before signing up for a hosting plan. The amount of your refund for downtime can vary greatly from host to host. Many will offer a refund of hosting fees only for the time your website was actually down. Usually, you’ll receive the refund as a credit to your account, to be applied to your next invoice. Should I choose my web hosting company based on their uptime guarantee? While an uptime guarantee is not a bad thing to offer, it shouldn’t be your sole reason for choosing your web host. An uptime guarantee doesn’t provide actual proof as to the track record of your web host, so it’s worth doing some research into their reviews and ratings to see if they can really live up to the guarantee. Even if you do receive a refund for downtime, the damage to your website (such as lost revenue or subscribers) is already done. A good track record is more meaningful than an uptime guarantee.